When Spencer County was formed from parts of Perry and Warrick Counties in 1818, it was decided to move the county seat of Perry County to a more central location. The town of Rome was chosen and a new county square and courthouse were planned and constructed there in 1818. The county seat remained in Rome until 1859, at which point it was moved to the Ohio River town of Cannelton, Indiana. The old courthouse was then turned into a school of higher learning called the Rome Academy, although at some point its name changed to St. Alban’s Academy. 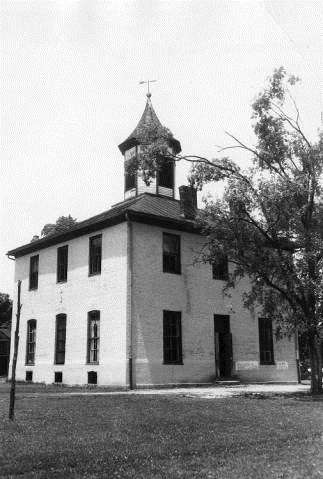 It remained a school of higher learning until 1902, when Tobin Township took over the building making it a public school that persisted until 1966. Currently, the building is used as a community center. The two-story square brick building has a central cupola and is modeled after the former state capitol in Corydon, Indiana. The building was partially restored in part through the Historic Preservation Fund administered by the Department of Natural Resources, Division of Historic Preservation and Archaeology. The courthouse was listed in the National Register of Historic Places in 1981. 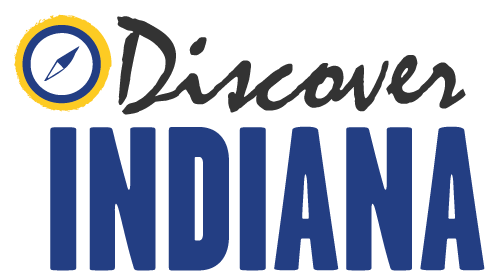 Indiana Division of Historic Preservation and Archaeology, “Old Perry County Courthouse,” Discover Indiana, accessed April 25, 2019, https://publichistory.iupui.edu/items/show/326. Published on Feb 7, 2018. Last updated on Apr 2, 2019.